The anatomically formed woodback made of walnut and a full-cowhide leather belt fastener mean the hand and brush become one. This allows you to work without becoming tired and makes caring for your horse a pleasure for both horse and rider. The length of the belt is customizable as it is attached with brass screws. 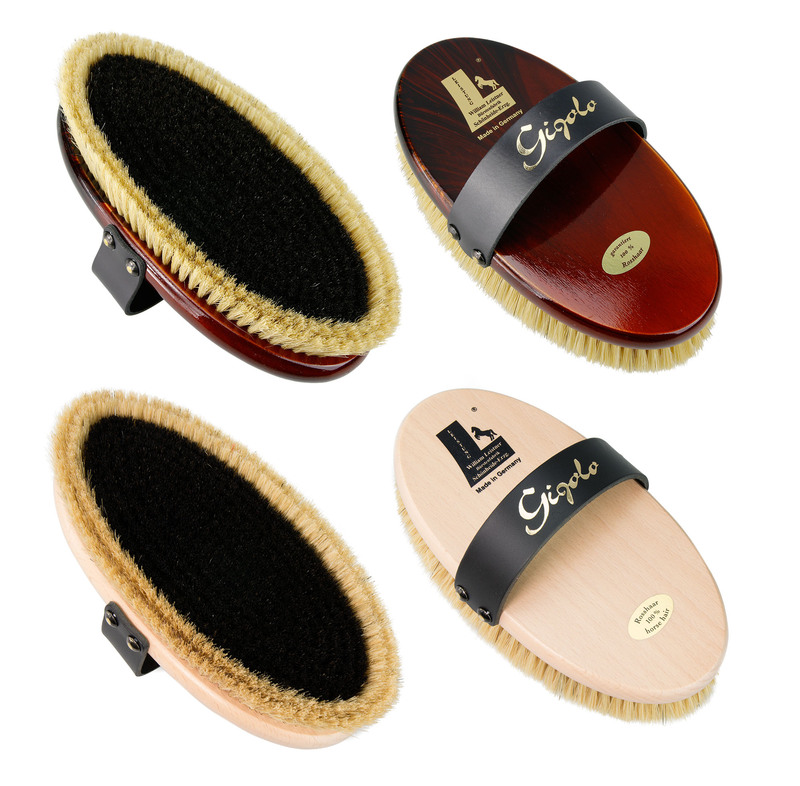 100 % horsehair and the double high edge of 100 % bristles remove the last dust and give a beautiful shine. The shape of the wooden body is protected by law. Suitable for a large lady- or male hand. Also available in size b. 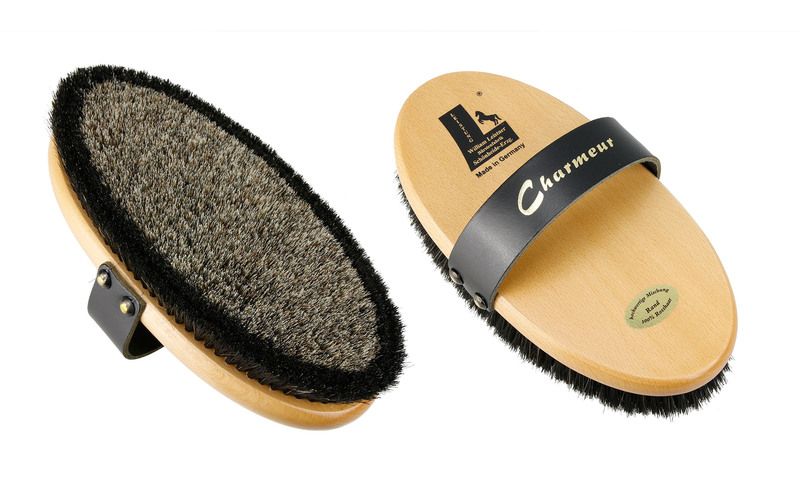 »Charmeur« Horse grooming brush with grey high quality horse hair mixture, double edge of 100 % horse hair.